Observer > 2014 > September > Is Our Focus Becoming Overly Narrow? Is Our Focus Becoming Overly Narrow? As is evident from the fact that the beginning of my career preceded the birth of APS (indeed, I was at the initial meetings that spawned our organization), I have been in the field for a long time, having received my PhD more than 38 years ago. As a consequence, I have observed changes in the field over 4 decades. Many of these have been very positive, but some trouble me. One of the perks of being President of APS is that I have a forum for expressing some of those concerns. In this initial column, I would like to draw attention to several related issues that concern me about our discipline. In the past 20 or so years, there have been major advances in our understanding of the role of genetics, neural processes, and physiological processes (e.g., hormones, respiratory sinus arrhythmia) in human functioning. These domains of research have contributed immensely to our understanding of an array of issues in psychology and will no doubt continue to do so. However, as a consequence of the visibility and excitement about biologically oriented work, I have noticed a tendency toward reductionism by some individuals in the field and by some funding agencies. There seems to be an increasing tendency to assume that studying genetic/neural/physiological processes is more important than research on behavior and psychological processes per se because biological findings will eventually explain most of human psychological functioning. This belief is especially evidenced in the funding priorities at some of the National Institutes of Health. It can also be seen in the hiring patterns of many psychology departments that place a priority on hiring people who study biological processes or aspects of cognition that can be tied to neuroscience. It has been argued that such reductionism is not always productive (e.g., Turkheimer, 1998). As eloquently expressed by the Nobel Prize winning physicist P. W. Anderson in 1972, some sciences, such as psychology, build upon the laws and concepts (“fundamental laws”) of the more “basic” sciences, such as physics, biology, and genetics, in what he labeled “the hierarchy of science.” Anderson maintained that the main fallacy of the reductionist hypothesis is that “the ability to reduce everything to simple fundamental laws does not imply the ability to start from those laws and reconstruct the universe” (p. 393). Anderson noted that “psychology is not applied biology” (p. 393). Although each science (or aspect of science) builds upon the principles of the lower (i.e., more fundamental) levels, at each new level of complexity entirely new principles — not reducible to those at the lower level(s) — appear, and new processes and outcomes must be understood. In other words, human behavior and social interactions/relationships are not reducible to a simple combination of neural firings or to the expression of genetics, the functioning of hormones, or other primarily biological processes (although, of course, they are certainly constrained by these factors). A partly related issue is the diminished status of and focus on measures of meaningful overt behavior, a shift that is more apparent in some subdisciplines of psychological science than in others. As discussed by Baumeister, Vohs, and Funder (2007), measures of meaningful actual behavior — behaviors other than filling out questionnaires or performing tasks on a computer that assess action times, implicit associations, or memory recall — have become fairly rare in social and personality psychology. Based on an examination of papers published in the Journal of Personality and Social Psychology, the researchers found a dramatic decline in studies involving overt behavior from the 1970s to 2006. By actual behaviors, they meant overt behaviors like “jumping, goofing off, flirting, stealing, walking, playing …” — not reporting on relevant behaviors, using a computer for experimenter-implemented tasks, or internal processes like remembering. Baumeister et al. suggested that this trend is partly due to the priority in the premiere journals for multiple studies and for including measures that tap mediating cognitive processes. Given the cost in time and money, as well as the difficulty, of collecting meaningful behavioral data, it is difficult to publish a set of studies based on observed behavior in a timely manner. In a similar vein, Cialdini (2009) noted that field studies are seldom published in the relevant premiere journals in psychology, in part because of those journals’ focus on mediating cognitive processes, which are hard to access in real-life contexts. Although behavior is more valued in some subdisciplines (e.g., developmental psychology) than in others, the same problems exist in many areas of psychology. Direct measures of behavior seem to be valued no more, and perhaps less, than self-report data and other types of nonbehavioral data collected in artificial experimental contexts. Yet the crux of what many of us want to understand is real-life human behavior. A third concern is that research on micro- and macroenvironments also seems to be undervalued. One very important lesson learned from studies of epigenetics and Gene × Environment interactions is that the environment is essential in understanding genetic and biological processes as they play out in life and affect adjustment and other aspects of human functioning (e.g., Ellis et al., 2011; Meany, 2010). The more we learn about genetics, the more obvious it becomes that we cannot understand human beings without careful study of processes such as social stressors and parenting quality that influence, as well as moderate, the expression of biologically based individual differences. Moreover, neural functioning is affected by the context individuals are in at the time of assessment, especially if they are processing information of significance. Thus, a focus on environments should go hand in hand with a focus on genetics and neuroscience. When assessed, the microenvironment (e.g., the context an individual is in, the family environment) often is measured with only self-report measures. Yet observations, objective data, and information from multiple observers are likely to better capture the complexity of the social environment. With regard to the macroenvironment (e.g., economic systems, political systems, religious systems, climates, geography), Oishi and Graham (2010) noted the decline in recent decades of research on the social ecology, especially as reflected in the decline of programs on environmental and community psychology (as well as, I would add, departments of sociology). They did acknowledge the current interest in cultural psychology, which highlights some aspects of the macroenvironment, but simultaneously noted the neglect of other macrosystems that exert a distal yet important influence on human cognition and behavior. A last issue was aptly expressed by Philip Cowan (a clinical psychology faculty member for many years at the University of California, Berkeley) in a discussion of change in the priorities in psychological science. Let’s assume, for the sake of argument, that it were to be proved that all mental illness is caused by genetic, neurological, and other biological factors. Without contextual and psychological theories and data, biological explanations of mental illness would leave us with inadequate tools to guide our approaches to treatment and intervention. In other words, to be relevant to social problems, we must understand real-life behavior and how to change it. To summarize, in my view, there has been a shift in what psychological science values, with a cost to our science. The recent illuminating research on biological mechanisms has added greatly to our understanding of human functioning. However, it cannot replace research on overt human behavior, human cognition in situ, or the roles of social interactions and cultural, historical, and geographical factors in human functioning. A larger perspective informed by knowledge about all levels of analysis is in jeopardy. An important challenge for psychological science is to better frame and assess the interconnections among the various levels of analysis. Anderson, P. W. (1972). More is different: Broken symmetry and the nature of the hierarchical structure of science. Science, 177(4047), 1–4. Turkheimer, E. (1998). Heritability and biological explanation. Psychological Review, 105, 782–791. Thank you for this excellent essay. It has been continually frustrating to see Psychology make little progress in understanding the value of interdisciplinary research. 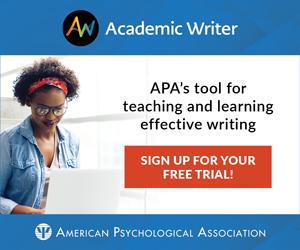 Your essay on how to understand and measure behavior complements this by emphasizing how Psychology has evolved to focus too narrowly on certain elements of behavior at the expense of others. But I think this is a function of a more general problem with Psychology, that of not thinking broadly enough to understand phenomena of interest. A related problem I’ve seen over the years is that some Psychology Departments (or some psychologists in departments) are of the mind that they can go at it on their own (e.g., create their own neuroscience program, or their own ‘behavioral genetics’ area within a department), rather than collaborating more broadly with those outside their department to develop a truly interdisciplinary program. My overall concern with that kind of mindset is that it diminishes the probability of, or motivation to, work with those outside of their home departments. This hinders intellectual progress and stifles the development of an interdisciplinary orientation for students within such departments. I remember when John Cacioppe was APS president and I watched with hope as he tried to make Psychology more interdisciplinary (e.g., “The Rise in Collaborative Psychological Science”). But I’ve seen, in the trenches, that there is still resistance. So I’m glad that the leadership in Psychology has the right vision for the field. And I hope the field of Psychology, writ large, becomes more open minded about the multifaceted ways to study human behavior across multiple levels of analysis. Your essay is an important push for that perspective. Brava, President Eisenberg, on this thoughtful commentary! Indeed, there is a disproportionately high research focus today on physiological, genetic, and neural processes, at the cost of studies of behavior and psychological processes. I hope that your column will spur careful reflection on current funding and hiring priorities vis-a-vis what must remain a central mission of psychologists: to use our research toward enhancing the well-being of individuals, families, and communities. Is our focus becoming overly narrow? To answer that question, first we need to understand just what is a social scientist, at least most of the time. A social scientist, I would argue, is someone who is so interested in a particular aspect of human behavior, that they are committed, many times for ideological reasons, to pursue their interests. This bias, is, again, confounded when the future social scientist decides on a graduate program. That is, now they are working with an advisor, and other graduate students, that hold their same research interests, or ideology, almost always politically motivated, and assuredly far left leaning. Rather than gain a broader perspective, the current system, at least for many, results in a more narrow minded view of behavior. Moreover, it should be stated, professors, are, in fact, not beacons of reason. Instead, beacons of a limited worldview, that of being extremely WEIRD. How do we correct this? I’m not sure we can. Ideology, especially in the social sciences, enables people to pick and chose what they chose what that want to believe. That is, as an example, evolution. By all accounts it is one of our best theories. Yet, somehow, in my psychology department, people have the notion they can chose to believe evolution, or not. This is not a matter of opinion, rather, an empirical matter, that has, no doubt, been answered. That is not to say there aren’t loose ends, and disagreements over the details. However, that is true of all theory, and the whole point of theory, in fact. Whether one adopts an evolutionary approach, or not, is not the issue I raise. The issue is, assuredly, the overwhelming lack of separating personal bias from social science. For myself, I am a psychology major, getting prepared for graduate school. However, if you ask me, I am a primatologist, whose focus is on Homo Sapiens behavior. This, for me, helps reduce the bias. By most accounts, almost all research on primates takes into account the socio-ecology and many of the other concern that were raised in this article. As an example: A paper I am currently critiquing on stress in relationships makes no mention of stress physiology. How can a paper about stress not mention the HPA axis, or, for that matter, cortisol, not once? I do not have an answer for that other than psychologist, especially social, have lost there way. I would further argue, a paper failing to discuss, even briefly, stress physiology in regards to primate behavior would be rejected, at least by all respectable academic journals. This standard should, no doubt, apply to all of psychology, as, in essence, we are studying primate behavior! The interconnections have been framed in the context of a model that links the epigenetic landscape to the physical landscape of DNA in the organized genomes of species from microbes to man via conserved molecular mechanisms. Accurately framing the interconnections that enable the biodiversity manifested in the morphological and behavioral phenotypes of all species eliminates most theories that evolutionary psychologists were taught to believe in. Those who still believe that mutations and natural selection could somehow lead to biodiversity in all genera may now need to watch closely as evolutionary theory is replaced by what is known about amino acid substitutions and cell type differentiation. Psychologists who learn about cell type differentiation can then teach what is known about the biological basis of behavior to evolutionary psychologists. An excellent article; if there is a bug in your computer’s software, you don’t bring in an electrical engineer – since there’s nothing physically wrong with the computer. Neither, in understanding behaviour, can one succeed if one has only the underlying biology (the parallel to the electronics) without knowledge of the factors which have impacted on it (paralleling the programming). Psychology made a big mistake when it started to misrepresent behaviourism as ignoring internal “private” events (despite Skinner describing these as “the heart of a science of behavior”). It’s time we remembered the very useful lessons that radical behaviourism taught us – not just about overt behaviour but also about thinking, problem-solving, self-control and indeed how to make societies which work for the benefit of their members. Isn’t this what B. F. Skinner tried to tell us for more than 50 years? Every once is a while a non-behaivor analyst comes to the same conclusion: that what makes psychology unique as a science is that our subject matter is behavior (not mind) and its environmental causes (not genes and neurons). Eisenberg is just the latest to drive the point home. Psychologists have become lost and are wandering though the conceptual and experimental desert. Maybe Eisenberg’s column will be a call to arms or a beacon in the dark. Then again . . .
2. Re, the comment above: You don’t have to be a Skinnerian to realize that what makes memory, perception, and even brain function important is their implications for behavior. Too often, these implications are taken for granted rather than empirically demonstrated. 3. Different modes of measurement can yield importantly different results. For just one example, the “shared family environment” is viewed as weak because it explains little of the variance in self-reports of personality. But if you use behavioral measures instead, suddenly it becomes important! Borkenau, P. Riemann, R., Angleitner, A., & Spinath, F.M. (2001). Genetic and environmental influences on observed personality: Evidence from the German observational study of adult twins. JPSP, 80, 655-668. 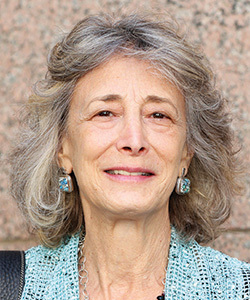 Nancy Eisenberg is Regents’ Professor in the Department of Psychology at Arizona State University. Her research interests are self-regulation, socialization and moral and emotional development, socioemotional competence, empathy-related responding, and prosocial behavior. An APS William James Fellow, Eisenberg served as editor of Psychological Bulletin and Child Development Perspectives.